Technologically advanced countries are not leading the world when it comes to AI policy making. Large enterprises aren’t the only ones benefitting from AI. Machines are here to make our lives better. As AI becomes woven into our daily lives, here is my point of view on myths surrounding Artificial Intelligence. 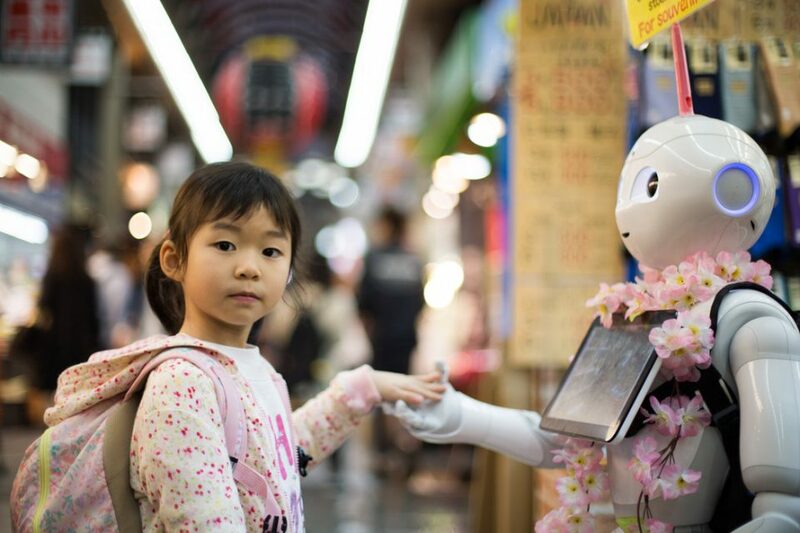 At the time of publishing this World Economic Forum article, some of the technologically advanced countries like US and Russia did not have a policy framework in place though private enterprises in those countries were investing heavily in AI. In contrast, several countries had a policy framework in place for AI. For instance, Canada had a budget commitment for research and training in 2018 while India had a unique policy for developing AI in terms of economic growth and social inclusion. Estonia plans to have a legal framework to manage accountability of machine learning and deep-learning algorithms – this is especially a significant step in the context of recent accidents involving self-driving cars. It’s no mystery that many large organizations, especially tech-savvy ones heavily invest in AI. Examples range from Yelp using machine learning to categorize restaurant photos uploaded by its users, to Google making it’s smart home platform even smarter by learning from ongoing & expanding customer interactions. Small business may perceive AI as a complicated tool that can be implemented only with the help of highly skilled (and hence expensive) data scientists. Low-cost statistical tools can perform analysis of data that can help organizations draw modest insights about their business – this can vary from understanding factors of repeat business to capturing new revenue streams through identification of new customer segments. Another use case is customer service – today’s customer prefers live chats and instant responses. AI enabled chat bots are a cheaper alternative to manned helpdesks. Humans can take over the conversations only when the problem gets complex. Mainstream news media is filled with success stories of AI but it worth paying attention to some negative press in recent years to get a balanced perspective. A Facebook’s AI deviated from English language and created a new language for conversation between its bots, which ended being gibberish. iPhoneX Face ID recognition software started showing problems when it came to identical twins. This problem is also seen in the Google photo’s face recognition used to label photos. There is a general fear that our jobs will be replaced by machines. I have a different point of view and firmly believe that AI will make our lives better. Take a look at the process of washing for example – Today, it’s as simple as tossing your laundry into the washer and pressing a few buttons. But decades ago, washing was a laborious process that meant taking clothes to a nearby by water source – well, river or a pond, then beaten over rocks and later dried by spreading on bushes or hung from clotheslines. With the advent of electric washing machines in early 20th Century, all that changed and consequently freed up our time to spend on meaningful activities like reading a book, honing a skill or enjoying time with family. AI is an intelligent tool. It helps us generate insights from the dizzying amount of data generated in today’s digital world. Alternatively, you can employ more people to analyze the same data but there are definitely some downsides to it – firstly, AI systems are less error-prone when it comes to such a scale of data analysis and secondly, this may not be the best use of our time – which brings us to the added bonus. AI can take over our mundane tasks, freeing up time for us to learn and improve our skills in our field of interest. This, in turn, helps us become more productive and adds value to the economy by creating more opportunities. Hospitality is a great example to demonstrate the idea – Two hotel chains in China have deployed facial recognition for check-in and AI enabled suites to managed customer service requests. This, in turn, has allowed hotel staff to focus on hospitality and spend more time in face-to-face conversations with the guests, improving the overall staying experience for their customers. Hope you enjoyed the article and were able to take away some pointers. Are there any other stereotypes about AI that you would like to share?